No longer the territory of purists and DJs alone, records have once again started to be recognized as a perfectly legitimate medium through which to collect and consume music. Of course, as soon as global fashion brands like Urban Outfitters and supermarket chains such as Tesco began adding vinyl to their repertoire of commodities, there was likely to be a backlash of sorts: record enthusiasts criticizing those shops’ cynical adoption of the format; others using the opportunity to denigrate the mini-boom, and the attitudes of its supporters, as anachronistic analog fetishism. Then there’s Record Store Day: an annual event on the third Saturday of April, founded in 2007 with the express purpose of reviving a flagging medium and increasing foot traffic to record shops. The event has typically taken on two characteristics: in-store performances and celebrations at participating shops around the world, plus the pressing of exclusive records for the event that can only be purchased in-person. 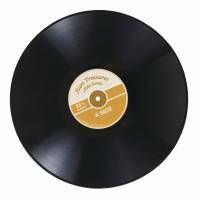 Far from uniting fans of vinyl, however, the event has begun to increasingly divide opinions with its last couple of installments. Independent labels such as Howling Owl Records and Sonic Cathedral, as well as record shops such as OYE Records in Berlin and Rye Wax in London have boycotted Record Store Day. They’re critical of it because it constipates (the already limited number of) pressing plants, who prioritize the production of major label orders that are typically just reissues of old releases, or vinyl runs of contemporary popular music; and, what’s more, there’s too much pressure on shops to pre-book Record Store Day exclusives, despite risking having them sit on shelves for much of the remainder of the year. Gikyo Nakamura, the manager in charge of production and distribution at the Tokyo branch of Jet Set Records, is aware of such trends, and has approached Record Store Day-oriented activities accordingly. 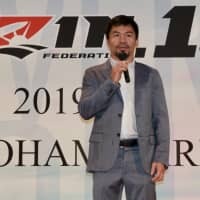 “There’s no point putting out the sort of releases we’d be doing regularly anyway, so we’ve specifically approached artists months in advance to ask them to make new recordings expressly for the event,” he says, referring to releases that include a collaboration between indie artists Yakenohara and Chabe recorded purposely for Record Store Day. 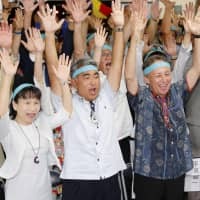 Despite an uptick in domestic sales, Nakamura points out that a drop in imported dance music means that not everything is rosy for the Japanese record industry. 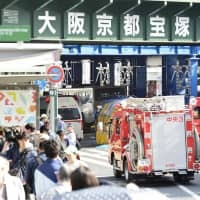 Although it might feel like Tokyo is still a haven for diggers and collectors, Nakamura says that it’s nowhere near the level it used to be at. With that said, there’s still no shortage of options, and when better to visit than this Saturday, when lots of shops countrywide will be celebrating with in-store DJ sets and live performances. Jet Set’s flagship store in Kyoto will host indie trio Turntable Films and producer Toyomu, who recently made waves by reimagining Kanye West’s latest album, “The Life of Pablo,” without even having listened to it. Respected house DJs Gonno and Den will be spinning at Technique, while vinyl veteran KZA, one half of Force of Nature, will be among several selectors playing sets at HMV in Shibuya, and “the Godson” of Detroit house music, Rick Wilhite, will be DJing at the Disk Union in Shibuya. Check other stores’ websites and social media on the day for more information about Record Store Day-related events. The undisputed top pick for fans of techno, Technique offers an extensive array of new releases that focuses on the heavier offerings from the domestic and international club scenes. There are also rows and rows of second-hand records that span the world of techno in terms of both time and space, from Underground Resistance to Ostgut Ton and back again — whether you’re looking for Drexciya or Dettmann, this is the place for you. The perfect shop for house music connoisseurs, Lighthouse Records takes a strict, curatorial eye to its selection of both new and secondhand releases, with renowned Japanese DJs often being tasked with assembling a crate of personally vetted picks for the latter. Jet Set Records’ Tokyo branch is a tiny space in Shimokitazawa, but its selection is anything but narrow. New cuts by underground Japanese producers such as Keita Sano sit furtively opposite flamboyant picture discs by Kyary Pamyu Pamyu and other pop giants. 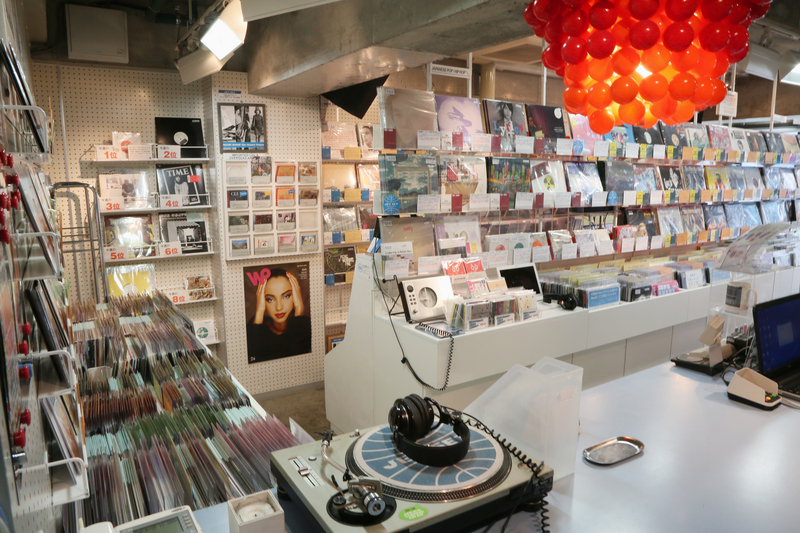 Jet Set Records’ flagship branch in Kyoto opened in 1998 and has been the prevailing “megastore” in the Kansai region ever since, stocking an expertly curated mix of imported international cuts — weighted towards electronic music — as well as self-produced releases from artists all across the local independent scene. In an interview with The Japan Times in 2014, Big Love Records’ owner Masashi Naka slammed other record stores for breaking Record Store Day-exclusive embargoes, stating, “It almost seems impossible to convey to the Japanese how crucial it is to visit and celebrate the actual stores.” But with craft beer on tap, merchandise tie-ups with ultra-fashionable Tokyo brands and an extensive selection of esoteric indie and electronica, you’d think that music fans wouldn’t exactly be lacking reasons to visit Big Love Records. Hip-hop heads unite at Manhattan Records in Shibuya, which has amassed no small following during its 30-plus years in operation thanks to taste-making releases like “The Hits” — a mix series it puts out under its own imprint. When HMV’s iconic Shibuya flagship store closed down in 2010, many saw it as a death knell for the analog music industry. If that’s the case, then its reopening in late 2014 — as an actual record store, no less — surely signaled vinyl’s resurgence in popularity. With a sizable stock of domestic releases ranging from old, dusty 7-inches to brand-new J-pop, the new HMV should appeal to young and old collectors alike. Few Japanese record stores command as much respect worldwide as Jazzy Sport. 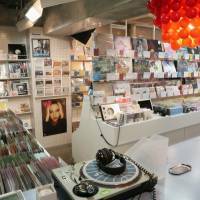 Although it’s their hip-hop and house-oriented label that’s responsible for their global notoriety — with an extensive catalogue of releases from the likes of Cro-Magnon, Gagle and Grooveman Spot — the store itself is hugely popular too; so much so that they’ve just opened up a smaller new branch in Shimokitazawa — this month marks its first anniversary. Although many Japanese record stores are rightly lauded for having a pristine interior and welcoming atmosphere, Compufunk is a shop in a different mold entirely. Tucked away in a basement, it’s very much one for the club heads: dark and minimal, to compliment the strains of techno they have on their racks. There’s a killer event space where they often put on raucous DJ nights, and they even have the equipment to cut dubplates on-site. Flake Records is somewhat of an institution in its home of Osaka, having long championed Kansai’s community of independent artists through its history. Although it stocks plenty of new international releases, use your visit as an opportunity to dig deeper into the local scene. Despite a selection of racks that list off relatively obscure genres like progressive rock, industrial and Japanese city pop, Maru Ka Batsu is far from elitist or unwelcoming in atmosphere. Without a listening post, though, be prepared to have your picks played out over the shop’s sound system for all to hear and critique. Tokyo may be renowned for its jazz cafes and bars, but where do you think those establishments find their impressive record collections? Here’s two of the city’s top hidden gems. Specializing in jazz, soul and funk, this Udagawacho record store dates back to 1994, when it was operating primarily as a mail-order business, and is now a treasure trove of old Japanese LPs and 45s. They also regularly add thousands of records to their online eBay account, so there’s plenty of digging to be done digitally, too. Miniscule in size, Discland Jaro has a history that dates back to 1973, making it one of Tokyo’s oldest record stores. 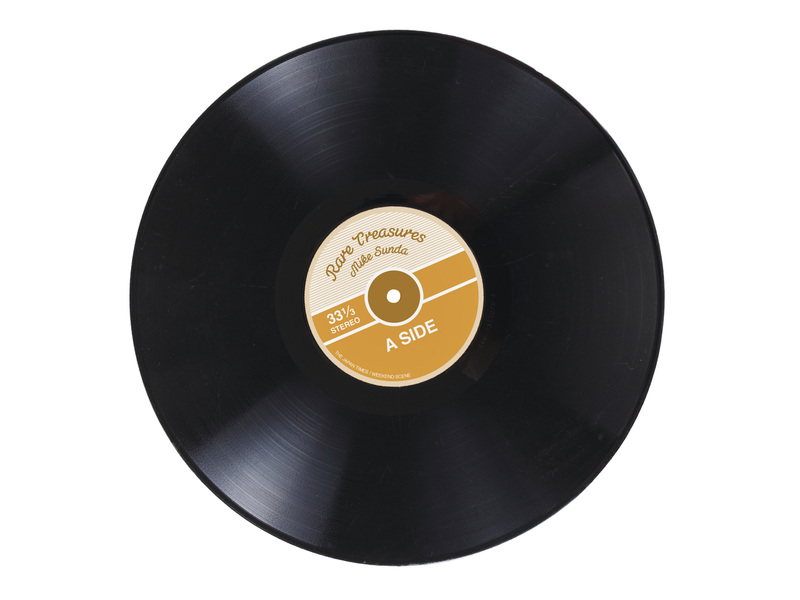 And many of the records are even older: original and early pressings of bonafide jazz classics. They don’t come cheap, but that doesn’t stop Discland Jaro attracting dedicated collectors and genre fans from around the world.